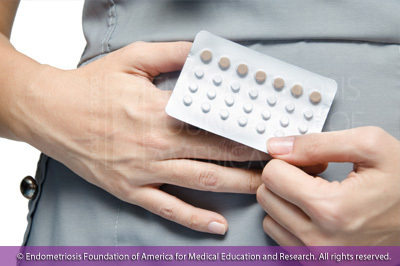 While there is no definitive cure for endometriosis, there are several treatment options that have proven highly effective and have provided symptom relief for patients. These treatment options can be defined in three general categories: non-surgical, conservative surgery, and definitive surgery. Patients have found symptom relief through a number of non-surgical treatment options. These include but are not limited to: over the counter pain medication such as non-steroidal anti-inflammatory drugs (NSAIDs), birth control, and more holistic approaches such as diet change and/or regular exercise. Each patient will experience a different reaction to these treatments and lifestyle changes, and what works for one may not work for another. Women who find that they do not benefit in either of these interventions should consult a gynecologist to weigh other forms of treatment, such as surgery. This form of surgery is an endometriosis surgery technique that is most often performed when endometriosis lesions can be well-recognized and specifically removed, leaving healthy organ tissue intact. 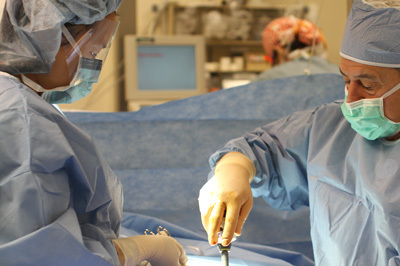 While there are many different techniques of conservative surgery, laparoscopic excision is the gold standard for endometriosis surgical treatment. Definitive surgery is performed when there is diffuse involvement of endometriosis to a particular site, and involves the removal of organs. The most common form of definitive endometriosis surgery is a hysterectomy (removal of the uterus). This can either include or exclude the ovaries and cervix depending on the form of hysterectomy the patient and physician agree upon. As undergoing a hysterectomy is a serious decision, it is crucial that the patient and physician fully discuss the necessity for this procedure and that the patient is comfortable with their decision. As the medical community’s understanding of endometriosis is constantly growing, it is essential to choose a doctor who keeps track of these updates and is highly experienced in this condition’s diagnosis and treatment. A physician should be willing to discuss the impact of endometriosis on all aspects of a patient’s life and should share their findings in an organized, compassionate, and structured way. Due to the limited amount of knowledge and training in endometriosis, it has a tendency to be misdiagnosed and mistreated. This is why in order to choose the right doctor, it is crucial that patients themselves are knowledgeable about the condition. Patients should ask their physician the right questions, which in the case of endometriosis all center around the patient’s period. If symptoms are worsening or synchronizing around the time of the patient’s period, this must be noted. These symptoms can include abnormally heavy or painful periods, but also painful bowel movements, diarrhea, nausea, vomiting, etc. If two or more of the symptoms do in fact coincide with a patient’s period, then a presumptive diagnosis should include endometriosis. 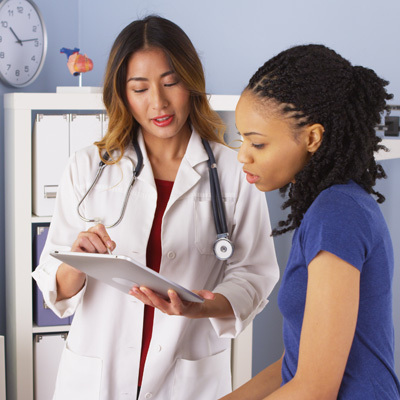 When patients receive a diagnosis of endometriosis, they will begin to explore their treatment options with their physician. This should ensure a thorough discussion, where the physician explains the risk and benefit of each treatment. Again, patients should draw on their own knowledge and research which they have performed to ensure their physician is providing them with the best treatment for their particular case. If at any point a patient feels uncomfortable with their physician, or loses trust in the care they receive, they should not hesitate to seek a new provider.